at the Scotiabank Henry Street led by Melissa McGloin for their amazing donation to this years Rotary Bags and Bubbles Purse Auction!! 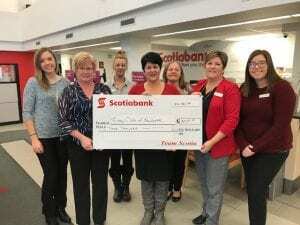 Staff of the Scotiabank on Water Street in Chatham are shown in the photo presenting $3000 to the Rotary Club of Newcastle’s Purse Auction co-chair, Karen Howe. 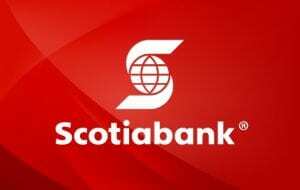 Staff volunteered their time to assist the club with fundraising efforts for the event and were able to donate under Scotiabank’s Team Community Program.